Members are essential to the success of the Missouri Botanical Garden, Sophia M. Sachs Butterfly House, and Shaw Nature Reserve. You make our mission possible. To join, renew, or purchase a gift membership, select one of the links to the right. Many companies will match their employees contributions. Your membership impact and benefits can be increased with a matching gift. See the list of matching gift companies. Military appreciation all year long: 20% off memberships with a military ID. Individual membership for one adult. More opportunities to enjoy the Doris I. Schnuck Children's Garden. Membership level names that more accurately reflect benefits. Review the membership levels, prices and benefits for details. The Missouri Botanical Garden is a 501(c)3 charity in good standing. Contributions to the Garden are fully tax-deductible. 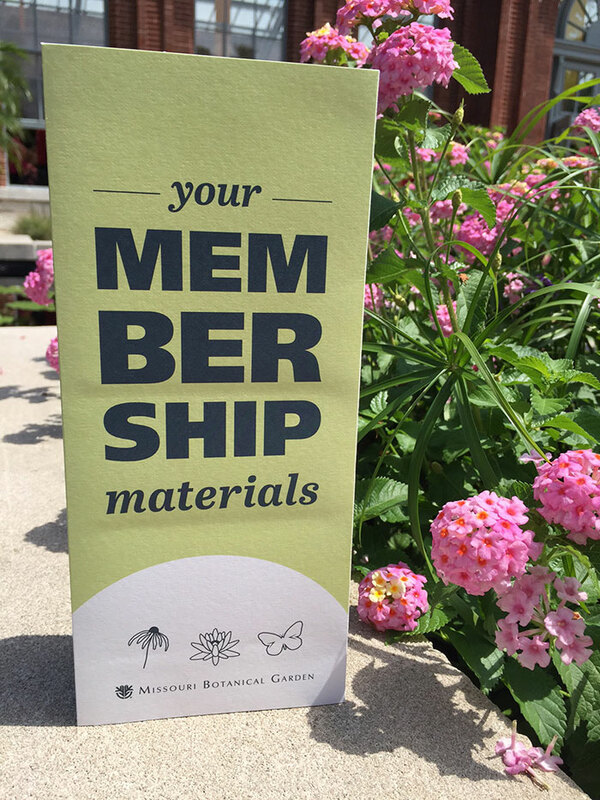 If you have questions regarding the Garden's membership program, please call (314) 577-5118 or email membership@mobot.org. Note: Membership admission benefits do not apply to groups of any kind. Memberships are also not transferable. A cardholder must be present to take advantage of membership benefits. Members make our mission possible. Thank you for your membership! Looking for fun family activities or a night out? We have you covered with members-only events through the year. And members receive special pricing to all Garden events. The Garden offers classes on a variety of topics for adults, families and children. Learn more about photography, cooking, green living and of course, home gardening! Members always receive discounted pricing for classes. The Garden is here to help if you have a specific home gardening question or if you are just looking for ideas to enhance your landscape. We offer seasonal gardening tips, keep a weekly blog about garden insights and much more.